When we take on any block paving project we will always come out to you and make up some plans so we know exactly what you would like Pisces to do to your front or back garden. What type of block paving you would like and where it is going to go. We will then survey the area making notes of where the drainage will go and if you would like any other services. We will ensure that we will remove everything that was there before. It may be grass, old blocking paving, tarmac or concrete. We will dig up and dispose of any materials before we start your new project. Having any part of your property block paved is not only going to be a good investment but it will really improve the appearance to your home. You may be thinking of having a new driveway installed giving you the perfect place to park your cars if parking in your street has become difficult. If you have a front garden that needs a lot of maintenance and never really get used then block paving it will certainly be the ideal solution. Why not make the most of unwanted space by adding a new patio or driveway? If your back garden needs a lot of attention because it is mainly grass then we can help you to design the perfect patio area giving you somewhere to entertain your family and friends, you could have somewhere nice to sit in the sun or maybe we can create a BBQ area. The ideas are endless. There will hardly be any kind of maintenance apart from sweeping it every now and then. 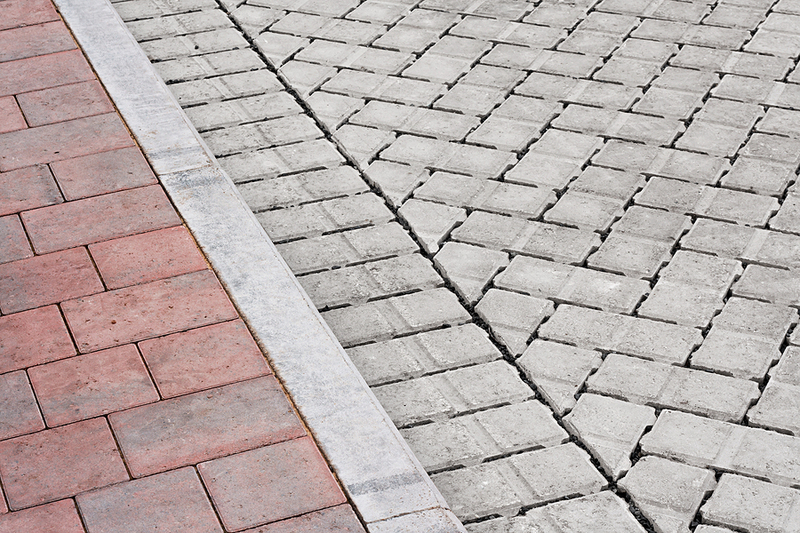 You can choose from a wide range of blocks and patterns and also choose from a wide range of colours when it comes to having block paving. You can also add the extra finishing touches by adding some planter features as well as some decorative kerbs that will really make your patio or driveway stand out. We use only the best materials – Marshalls and Bradstone, when it comes to installing your new driveway or patio area. Our blocks and slabs are durable and long lasting. Pisces also offer many other services including our maintenance service. We can cut your grass, trim your hedges or even pressure-wash your patio area or driveway. These services will really help to maintain your garden and will certainly make your new block paving stand out if we have just installed it for you. If you would like more information about any of our services then give us a call and we will help with any enquires you may have.